If you’ve ever been to the U.S. in the fall (or Autumn as we call it), you might have been lucky enough to be served up a slice of homemade pecan pie. You might even have been lucky enough to enjoy it at a real American Thanksgiving dinner, in which case we are super envious and can you get us an invite next time please? Traditional pecan pie is delicious, but FULL of sugar and all sorts of other things we tend to stay away from. 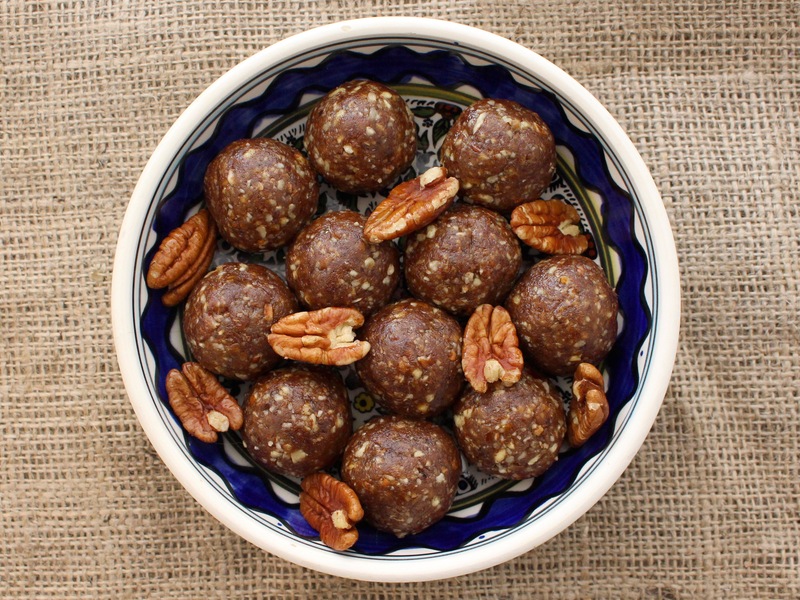 But you know what we’re like, we love making healthy alternatives (without compromising on taste of course) and we also love things that don’t have too many ingredients and that we can pop into a Tupperware and take with us for our day’s adventures. 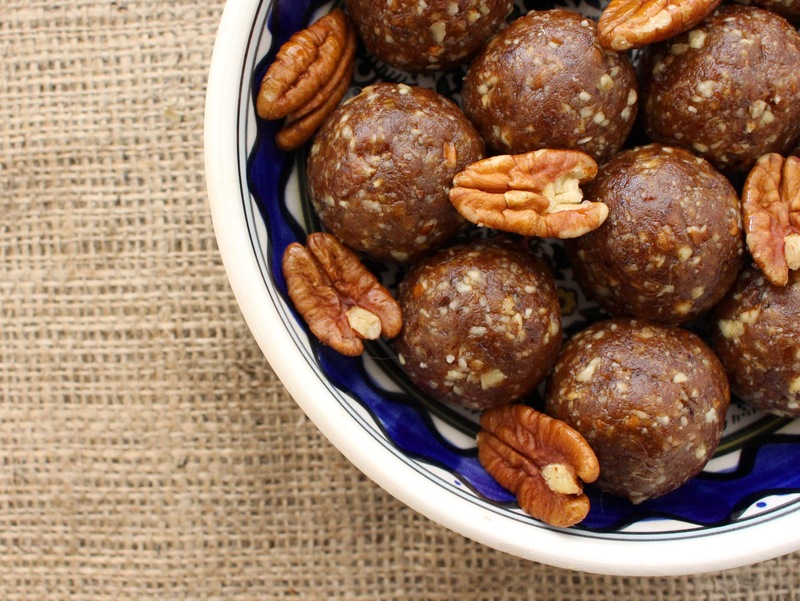 So with all of the above in mind, we created our four ingredient pecan pie energy balls – they’re portable, snackable, inexpensive and insanely delicious. This is so super easy. Just blend the pecans until they form a coarse flour, then add in the other ingredients until it’s all sticky and delicious and mixed together. Roll into balls and store at room temperature.